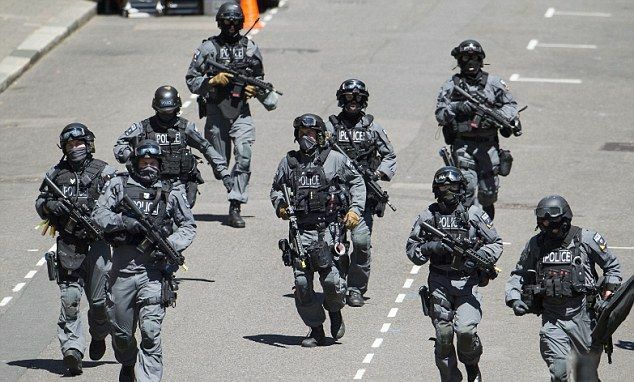 26 July 2015 – Are you aware of the Secret plan to put 5,000 heavily-armed troops on streets of Britain to fight jihadis in event of a terror attack ? What is Operation Temperer ? This British operation would see troops guard key targets with armed police. Such plans have been drawn up by police chiefs and discussed by top Government officials. The Plans would be triggered by the Cobra committee in event of simultaneous attacks such as those attacks that took place in Paris. More than 5,000 heavily armed soldiers would be sent to inner cities if Islamic State or other fanatics launched multiple attacks on British soil – an unprecedented military response to terrorism. 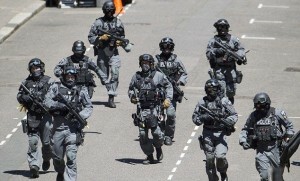 The plan, codenamed Operation Temperer, would see troops guard key targets alongside armed police officers, providing ‘protective security’ against further attacks while counter-terror experts and MI5 officers hunted down the plotters. The shocking plans for ‘large-scale military support’ to the police are contained in documents uncovered by The Mail on Sunday. They have been drawn up by police chiefs and are being discussed at the highest levels of Government, but have never been revealed in public or mentioned in Parliament. The mass deployment of Army personnel on the streets of mainland Britain would be hugely controversial, even if it helped keep the population safe, because it could give the impression that the Government had lost control or that martial law was being imposed. For further details see – http://www.dailymail.co.uk/news/article-3174590/Secret-plan-5-000-heavily-armed-troops-streets-Britain-fight-jihadis-event-terror-attack.html . See similar Jade Helm 15 and Fort AP Hill military planning in the USA. See also the wider challenge the world will soon face – https://www.ministryofhealing.org/everlasting-gospel/third-angels-message/ . Leapard Vision (Volume 1) – Can a leapard change it’s spots ? Are you prepared for the Roman Catholic church to usher in a New World Order ?